Our pumping services are completed thoroughly to keep your septic system in top condition for years of service. One of the biggest misconceptions about septic tanks is that pumping services aren’t needed in certain situations. The reality is that EVERY septic system needs maintenance, but the timing can vary widely between households. Here at Degler Waste Services, we recommend calling for pumping services every 3 to 5 years, but there are some situations in which it should be done more often. There are several reasons why we are the preferred septic company in the Beaufort, South Carolina. First of all, we have a proven track record dating back to 1965. We have the experience to know what works and what doesn’t. We have seen firsthand what happens when pumping services are not done in a timely manner or when a customer hasn’t been advised of how to protect their system. Our goal is to keep your system operating properly to avoid the need for repairs or premature replacement. Finally, you’ll be glad you used us, as we’ll save you money by completely emptying the tank and professionally cleaning it so that you can go the longest period of time possible between service visits. We are always happy to discuss the factors that affect the timetable and what you can do to keep the septic system at your Beaufort, South Carolina home healthy. If you would like to schedule pumping services or you need answers to any questions you may have about your septic system, don’t hesitate to contact us. We look forward to providing you with the vital services and advice you need to get years of service from your septic tank, drain field, and other septic system components. 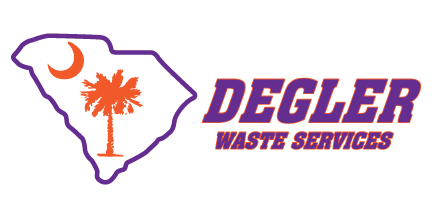 At Degler Waste Services, we offer high-quality septic pumping services in Ridgeland, Wellford, Lyman, Spartanburg, Inman, Tryon, Landrum, Greer, Taylors, Greenville, Mauldin, Simpsonville, Travelers Rest, Pumpkintown, Lady’s Island, Bluffton, Hilton Head Island, Hardeeville, Beaufort, and Walterboro, South Carolina, as well as Savannah, Georgia.